Once again, we were delighted to help Port Regis welcome in the new school year with their Portregian. The annual book is a wonderful reflection of the past academic year, showcasing just how enjoyable life at the prep school is. 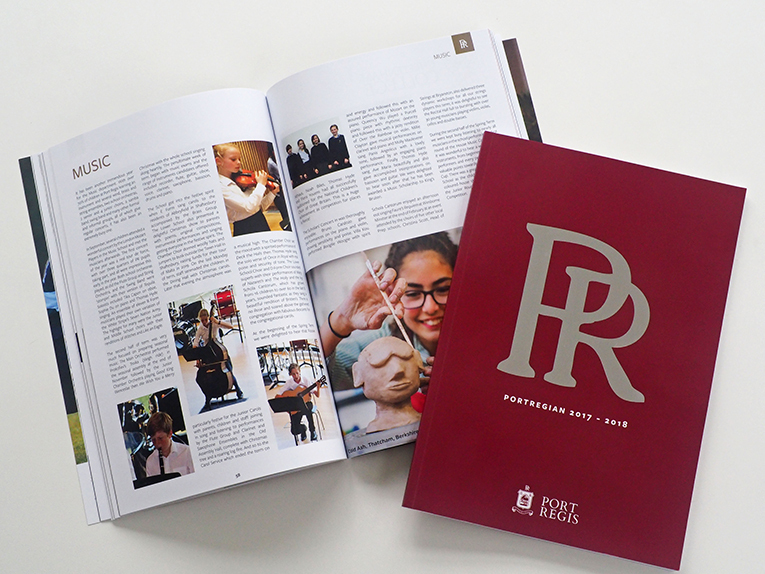 The studio assisted the schools’ Marketing team to design, style and print the 104 page year book which features a stylish silver foil logo emblazoned on a maroon, soft touch cover. It is always a delight to work with the school and support their marketing activity – and we have no doubt, next September and the new Portregian will be hear before we know it!